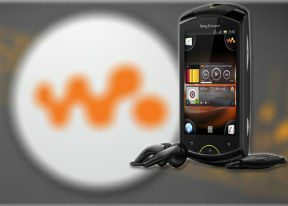 The Sony Ericsson Live with Walkman has quad-band (850/900/1800/1900) GSM network support. There’s dual-band 900/2100 and tri-band 850/1900/2100 3G too, depending on region. You can count on up to 7.2 Mbps of download speed. Wi-Fi covers the b/g/n standards and there is Wi-Fi hotspot functionality. Bluetooth 2.1 with A2DP and standard microUSB are also on the list. Like all recent Xperia smartphones, the Live with Walkman supports USB on the go via a LiveDock, which is sold separately. Thanks to Android 2.3 Gingerbread and the Adobe Flash 10.3 support, the Live with Walkman’s web browser does a great job. The user interface is pretty light at first sight. Once the page loads, all you see is the URL bar and the bookmark button on a line at the top of the screen. Once you zoom in or pan around though even that line disappears (scroll to the top or press menu to bring it back). The browser supports text reflow, but it works only with double tap – a moment after setting the zoom level just double tap on the display and the columns of text will align to fit the screen width. Without text reflow you will either have to zoom out until the text fits (but then it’s too small to read comfortably) or scroll sideways to read each line. The 3.2” HVGA screen may sound too small, but it is more than enough and you have all the screen estate for actual content. The Xperia mini's browser supports double tap and pinch zooming, along with the dedicated virtual zoom buttons. The web browser has full Flash support with the Adobe Flash 10.3 player (available for free at the Market). YouTube videos at 360p played quite smoothly but you'll have no problems with 720p too, once the video has loaded. Playing Kongregate Flash games is no problem on the Sony Ericsson Live with Walkman too. The high-quality videos on YouTube and other Flash video services had some dropped frames, but the overall Flash performance turned out pretty decent. The YouTube app is still there though, just in case. The Live with Walkman has a GPS receiver and A-GPS support. It managed to lock onto satellite signal in less than 2 minutes with A-GPS turned off. With A-GPS on, which involves some network data, satellite lock took less than a minute. Google Maps is the main application and its Street View mode is probably the best part of the deal in places where turn-by-turn voice navigation isn’t yet offered. If the Street View is available in the area you're interested in, you can enjoy a 360-degree view of the area. Zoom is supported through pinch and double tap gestures. When the digital compass is turned on it feels like making a virtual tour of the surroundings! Street View is great for virtual tours of places you want to visit. If the Street View is available in the area you're interested in, you can enjoy a 360-degree view of the area. Zoom is supported through pinch and double tap gestures. When the digital compass is turned on it feels like making a virtual tour of the surroundings. Turn-by-turn voice guidance using Google Maps Navigation is available in select countries and unless you live in one of them the best you can do is plan a route in advance and keep an eye on your current location during travel. You get the Live with Walkman with Maps 5 out of the box, which gives you access to some great features. Offline rerouting is one – if you stray off course, Maps will recalculate the route without the an Internet connection. You can’t change the destination without a connection though. There are also 3D buildings (where available), two finger rotation, tilting and so on. Depending on your region you may get the Live with Walkman comes with Wisepilot navigation pre-installed, but you'll have to pay for it. The Sony Ericsson Live with Walkman comes with a solid set of organizer apps. There's a Notes application as well as Reminders. Document viewing is enabled, courtesy of the OfficeSuite. Word, Excel, PowerPoint and PDF are supported, including the Office 2007 versions. Editing will cost you around $10 at the Android market. The usual suspects are there too: an Alarm clock, calculator, calendar - all basically unchanged from previous Sony Ericsson droids. The Alarm app has desk clock and night mode enabled. It dims the display so that it won't bother you. TrackID is a music recognition service that was pioneered by Sony Ericsson on their Walkman feature phones. Open the app, record some of the music you’re listening to and hope that the Gracenote servers will find the song in question. The Facebook app for Android is preinstalled and has all the functionality you need: photo uploads, comments, news feeds, groups and events. Chances are, though, you won’t use it all that much given the deep Facebook integration on the phone. Your Facebook contacts are in the phonebook while Albums are in the gallery.